Contact us at crazyredheadquilting@gmail.com or call 641-787-9122 for pricing. Financing available! 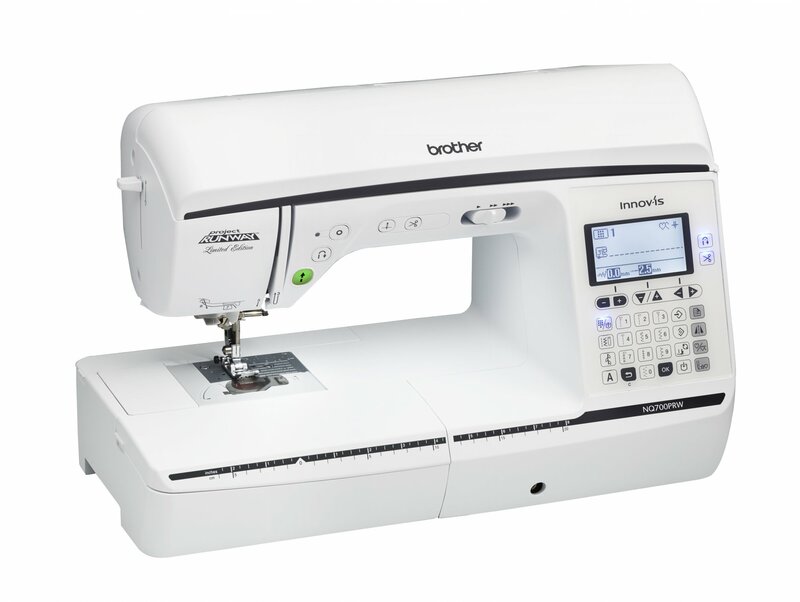 For the beginner or the experienced seamstress, the Innov-is NQ700PRW from the Q-Series has a 14% larger workspace (versus previous model without extension table) and improved sewing with longer feed dogs and the included zigzag foot. The Innov-is NQ700PRW offers convenience, flexibility, and quality all at an affordable price you'll be sure to love! LCD Size (Horizontal x Vertical) inches 2.9" x 1.6"
Work Space (Height & Width) inches 4.1" x 8.3"
Machine Dimensions (H x W x D) 18.90" x 9.82" x 11.81"
Shipping Dimensions (H x W x D) 22.74" x 14.61" x 17.24"